Thanks to a new website, pet lovers can now stay in homes for free in exchange of caring for pets. Is your favorite website on here? If "Star Wars" saga is director George Lucas' vision, then conceptual designer and illustrator Ralph McQuarrie was Lucas' eyes. Your Saturday morning cartoons went a little deeper than you thought. The creators of your favorite sites are just as nerdy as you, if not more so. If you have extremely specific tastes, one of these sites may help you find The One! Ever type in a fake website mentioned on a TV show to see what's actually there? 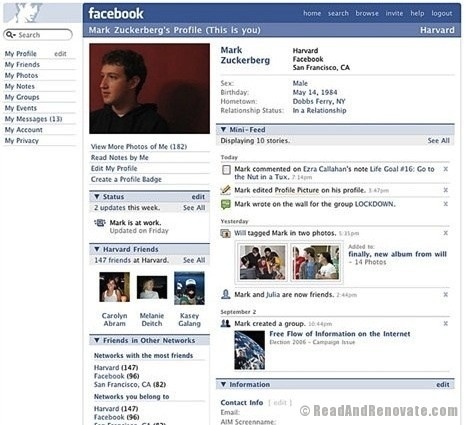 Facebook has had many changes since its debut in 2004, but this is the layout that I'll always remember. 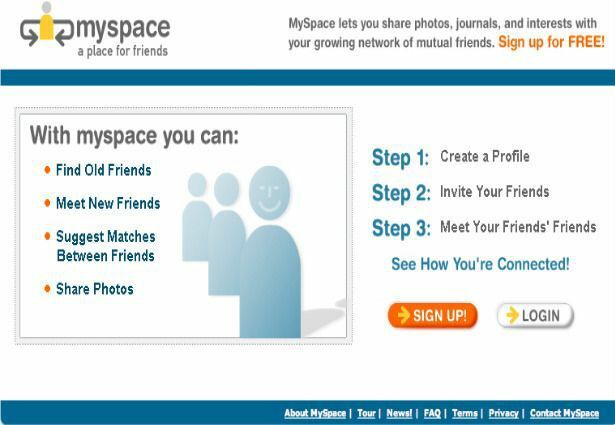 2006 was when they introduced the News Feed (similar to what we have now, the Timeline) which everyone hated at first, and then got over within a week. You know, like ALL Facebook updates. Google redesigned its famous logo in 2015, but it wasn't the first time this has happened. If anything, the logo today looks more like the logo did back in the '90s, since the text is a little thicker. But what happened to the exclamation point? Rumor has it, it was donated to Jeb Bush's campaign. YouTube was created in February 2005, by three former employees from PayPal. A little over a year later, Google bought it for nearly $1.7billion. It's changed over the years (hello, Gmail syncing), but the spirit of YouTube is the same as it was when it was first created: An easy video-sharing platform. 5,435,654,876,564,287 cats later and it's still going strong. Amazon.com was born in 1994, though it was originally called Cadabra. 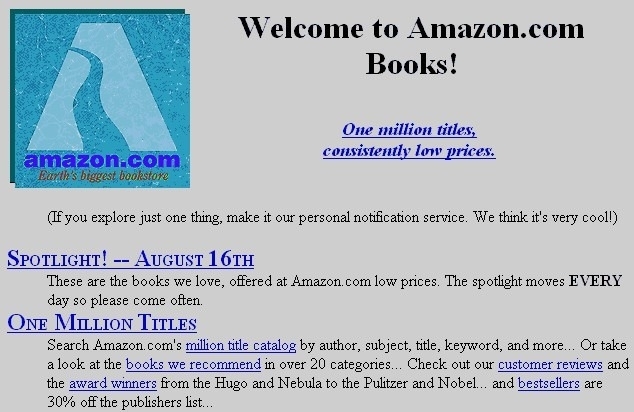 In 1995 it was renamed Amazon and was solely an online bookstore. Today, it has expanded into so much more. In fact, if it's not sold on Amazon, did it ever even exist in the first place? 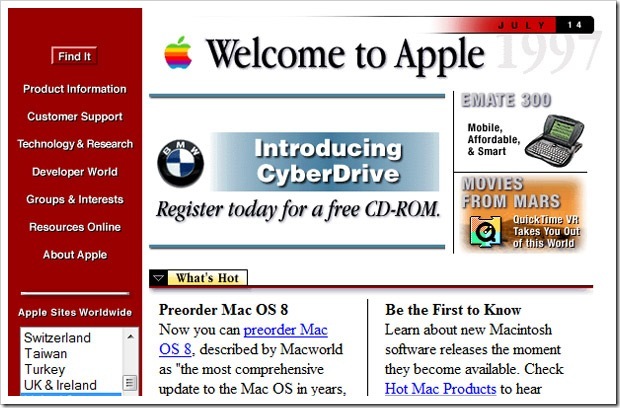 Apple's website in the '90s was far from the sleek, minimalistic design that we know of today. It's hard to believe that at the time, this was considered cutting edge. Until you find your old Geocities page and realize that yes, yes it was. Wikipedia's simple layout used to be even more simple. Since the early 2000s, a college kid's research paper has never been the same. Ask.com used to be AskJeeves.com, and our lives were a little better knowing that a polite butler was always there to help. Jeeves has since been phased out of the American version of the website, though the UK version still has him. He never abandoned us, he just went home. Yahoo! was founded in 1994, though then it was called Jerry and David's Guide to the World Wide Web. This 1995 version of the website, pictured above, was grey and that's how we liked it. Now, we only love grey in our romance novels. 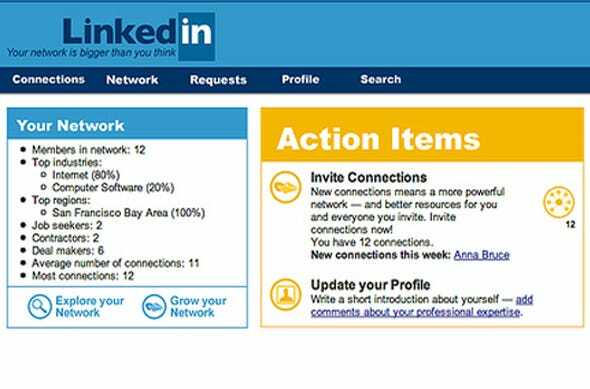 LinkedIn in 2003 kind of looked like LiveJournal (remember LiveJournal!? ), only instead of Good Charlotte lyrics, people posted their resumes. Twitter had its light blue logo from 2006-2010, and it'll always be near and dear to my heart. Back then, there wasn't a Twitter app because smartphones weren't mainstream. If you wanted to tweet from your phone, you had to text it. I feel old, but not "says 'whippersnapper' on a daily basis" old. 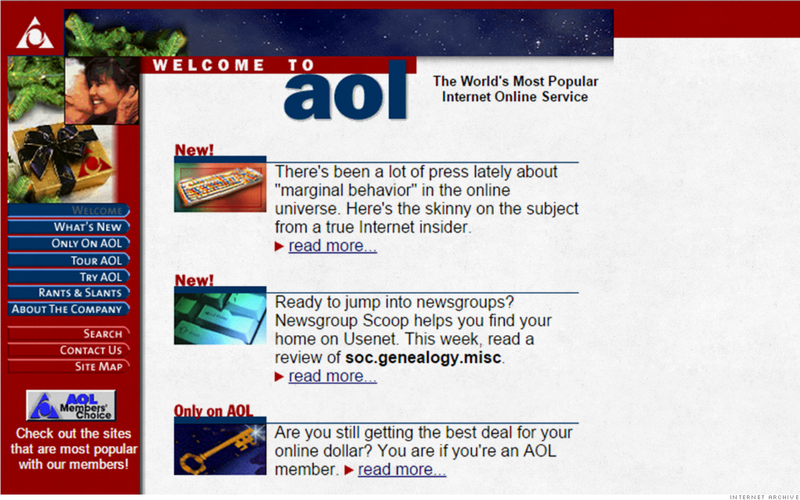 With the magic of the Wayback Machine, you can explore most of these websites as they once were, like AOL in 1996. Beep! You got mail nostalgia! 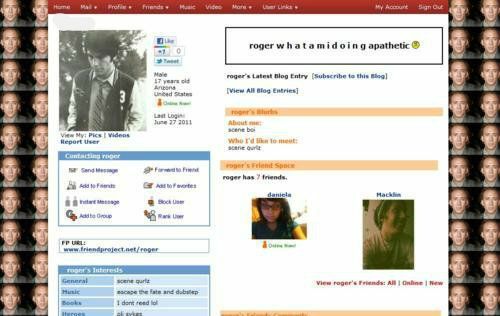 Thanks to classic Myspace, all of us became masters of HTML because we wanted the perfect customized profile. 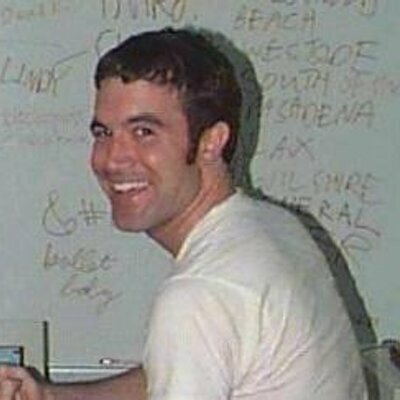 Plus, we all got to be best friends with Tom. 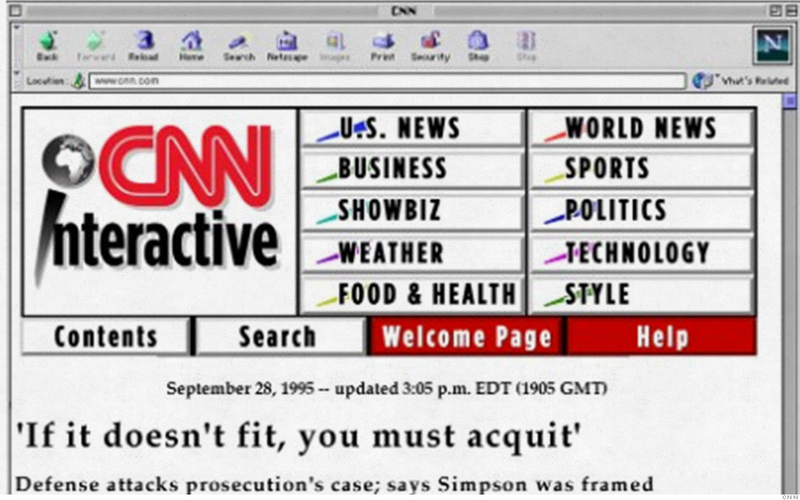 CNN.com recently celebrated its 20th anniversary. One more year until it can buy us all drinks! 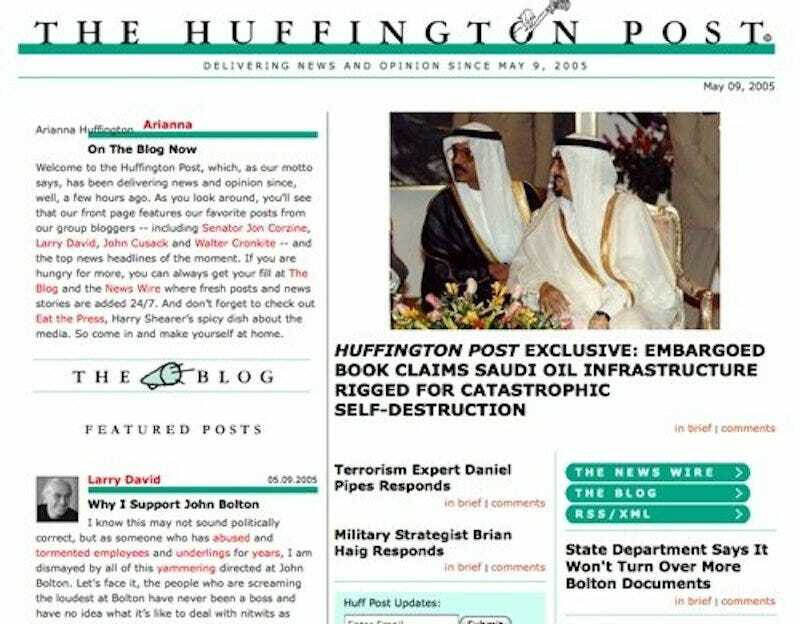 The Huffington Post is celebrating its 10-year anniversary with a lot of look-backs on the year 2005. And by 2025, they'll be having a look-back on their look-backs. Guff sure has changed in such a short amount of time, and we're only going to continue to evolve! The most important change: Our office now has a cheese fridge.